Philippe Starck takes the classic image of a railed chair and gives it new connotations. 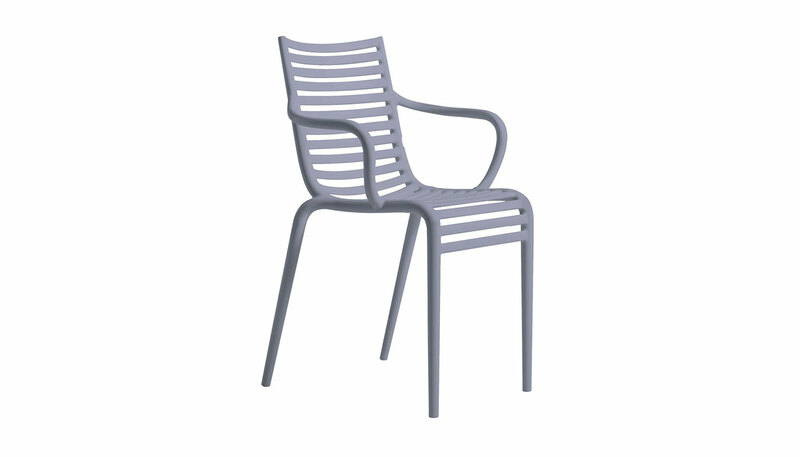 The PIP-e dining chair is constructed in polypropylene monobloc and features a sequence of horizontal elements which create the seat and back. The strong interplay of the rails and the negative space between these is extraordinarily engaging. The chair is suitable for indoor and outdoor settings and is stackable. Available in several colors. The chairs come in a packing unit of 4 pieces in the same color. Manufactured by Driade.